The UK driving test is split into two parts. First is the Theory & Hazard Perception Test followed by the Practical Driving Test. You must have passed the theory test part before you are allowed to book, or attempt to take, a practical test. You can find more detail on each part of the driving test by following the links on the left of this page. The road signs link to a detailed description of the tests and the camera icons show a short film clip of how each part of the test works. This is divided into 2 sections each of which is completed using a PC with touch sensitive screen and a mouse. Is a multiple choice question and answer section which consists of 50 questions with a 57 minute time limit. The pass mark for the multiple choice part of the theory test is not less than 43 out of 50 questions answered correctly. Is the Hazard perception test, 14 video clips each of which contains at least 1 hazard (one of them will contain 2). You must identify and mark the hazard on the screen as you identify it. To score good marks here you must identify the hazard early and then indicate its' development. 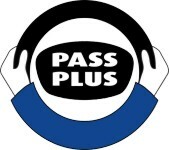 The pass mark for the car and motorcycle hazard perception part of the theory test is 44 out of 75.
click the links on the left to read or watch more about both theory and practical tests. Once you have completed (and passed) the theory test you will be able to apply for a practical test. Click the roadsign link to go to the DSA site for detailed information on the test, the video camera link will show you a short film clip about what is in the test and how it works. After a brief eyesight test you will be asked some 'show me/tell me' type questions on basic operation and maintenance principles of your vehicle. 'where would you check the oil/washer/brake fluid levels' , Show me how you would check the lights are working etc. Click on the Lplates image to download these questions in a pdf file. OK, So you've passed your test..... Congratulations.